Foto: DRAGONFLi Media via Youtube Turkey's first F-35. Turkey, a US NATO ally, looks poised to let Russia destroy or deeply compromise the F-35 program from within by operating Russian missile defenses and the US-made fighter at the same time. Multiple generals have strongly warned against Turkey operating Russian missile defenses and the F-35, implying that Russia could learn how to detect and kill the jet through Turkey’s systems. Turkey and the US increasingly find themselves at odds despite being NATO allies. Russia hasn’t built a fifth-generation fighter that can compete with the F-35, but if it perfects its surface-to-air missiles with an inside look at the stealth fighter, it may not need to. 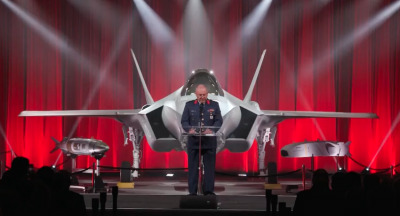 The US’s F-35, from the Joint Strike Fighter program, is the most expensive weapons system of all time and a fighter jet meant to revolutionize aerial combat, but Turkey, a US NATO ally, looks poised to let Russia destroy the program from within. Turkey, a partner in the F-35 program, has long sought to operate the fighter jet and Russia’s S-400 surface-to-air missile-defense system at the same time. 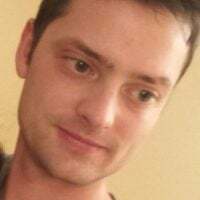 But experts have told Business Insider that patching Russia through to NATO air defenses, and giving them a good look at the F-35, represents a shocking breakdown of military security. 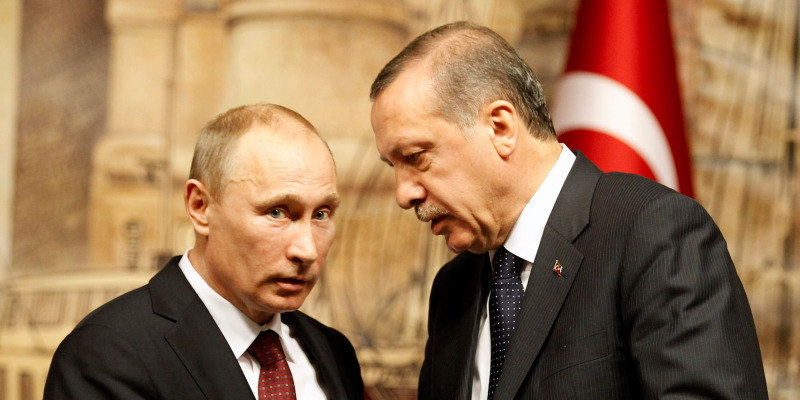 As such, lawmakers have tried to get the US to stop selling F-35s to Turkey, but Turkey already has two of the fighter jets, and said the S-400 is a done deal. On Tuesday, US Army Gen. Curtis Scaparrotti, the head of US forces in Europe, told a Senate Armed Services Committee that the idea was as bad as it sounds. “My best military advice would be that we don’t then follow through with the F-35, flying it or working with an ally that’s working with Russian systems, particularly air defense systems, with what I would say is probably one of most advanced technological capabilities,” Scaparrotti said. 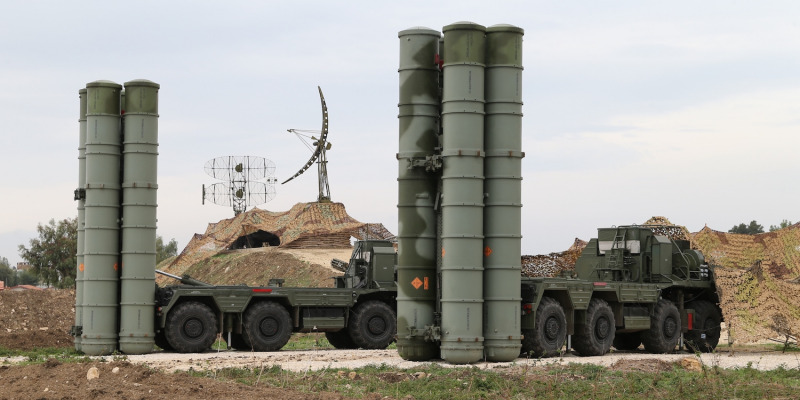 “Anything that an S-400 can do that affords it the ability to better understand a capability like the F-35 is certainly not to the advantage of the coalition,” NATO Allied Air Commander Gen. Tod Wolters said in July. NATO worries about “how much, for how long, and how close” the F-35 would operate near the S-400s. “All those would have to be determined. We do know for right now it is a challenge,” he continued. Russia wouldn’t just sell Turkey the radars, batteries, and missiles and then walk away, it would actively provide them support and training. Russian eyes could then gain access to NATO’s air defenses and also take a good look at the F-35. The F-35’s fate in Turkey’s hands? Because NATO is an alliance formed to counter Russia, allowing Russia to learn information about its air defense would defeat the purpose it and possibly blunt the military edge of the most expensive weapons system ever built. But the US has little choice now. Turkey has pivoted away from democracy and has frequently feuded with its NATO allies since a 2016 attempted coup prompted the country’s president, Recep Tayyip Erdogan, to consolidate power. The F-35 holds advantages besides stealth, including a never-before-seen ability to network with other fighters, but the S-400 remains a leading threat to the fighters. Russia, if it spotted an F-35 with its powerful counter-stealth radars, would still face a steep challenge in porting that data to a shooter somewhere that could track and fire on the F-35, but nobody in the US military wants to see Russia looped in to the F-35’s classified tactics and specifics. Russia has failed to field a fifth-generation fighter jet to compete with the US’s F-22 and F-35 in any meaningful way, but if its missile-defense systems can get an inside look at the F-35, it may not need to.